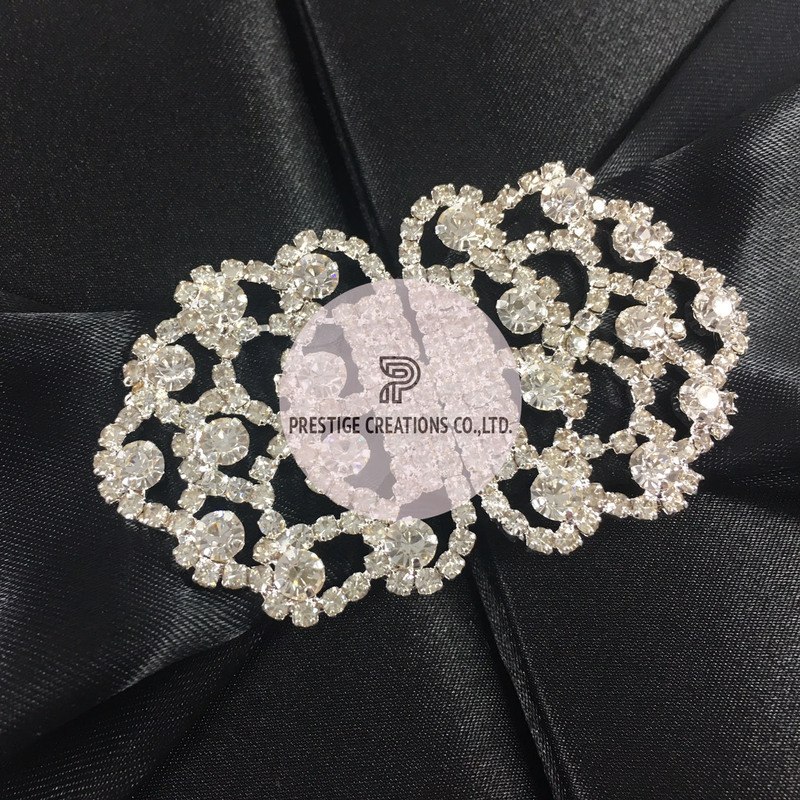 Luxury boxed wedding invitation design with gatefold closure and rhinestone clasp embellishment. 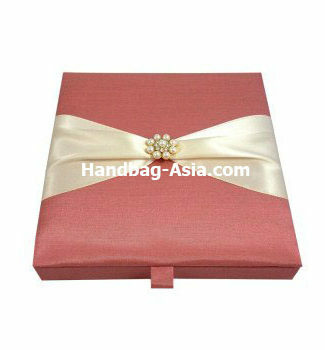 This fine silk invitation is an impressive solution for your luxury wedding invitation needs. Sold at low wholesale prices with export all over the world. Creative and yet luxury wedding box, designed by prestige Creations in Thailand. 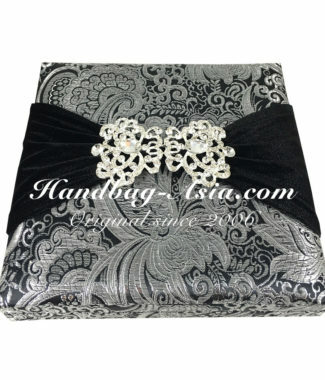 High quality, handmade box with large rhinestone clasp and very wide satin sash. 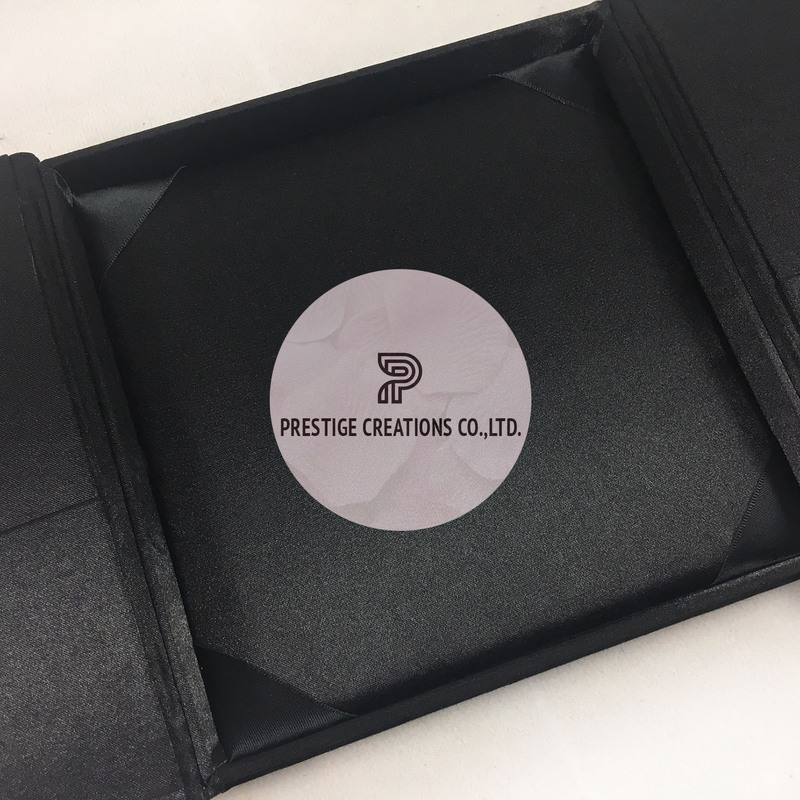 Impress your family with our silk invitation boxes. All designs are sold for low wholesale prices. Our boxed wedding invitations come with pocket holder for RSVP and ribbon corner holder for wedding cards. How long will my order take: Generally 15-25 days, you can get in touch with us prior bulk order and we will discuss the production time with you.